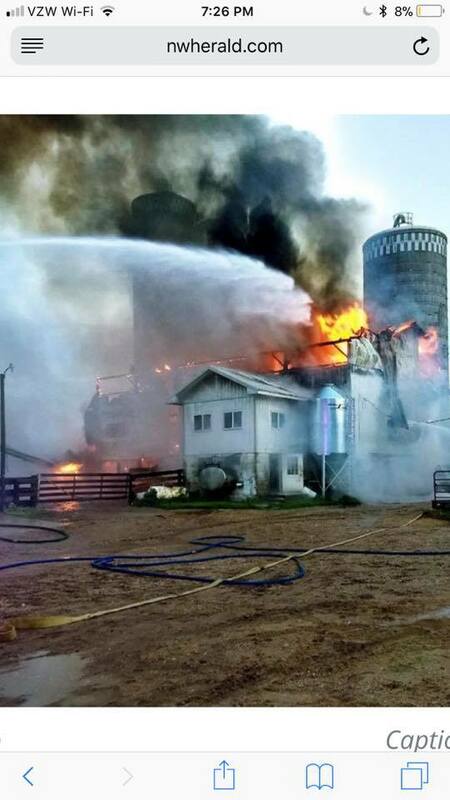 On the morning of June 19th, the Vanderstappen dairy farm experienced a horrible tragedy. Their barn caught fire and burnt to the ground. Miraculously all of the animals were saved and no one was hurt. This farm is their livelihood and they are devastated. Katie and Dave Vanderstappen own the farm and live there with their three small children. They are expecting twins in August! Please show your support for this local farm family.